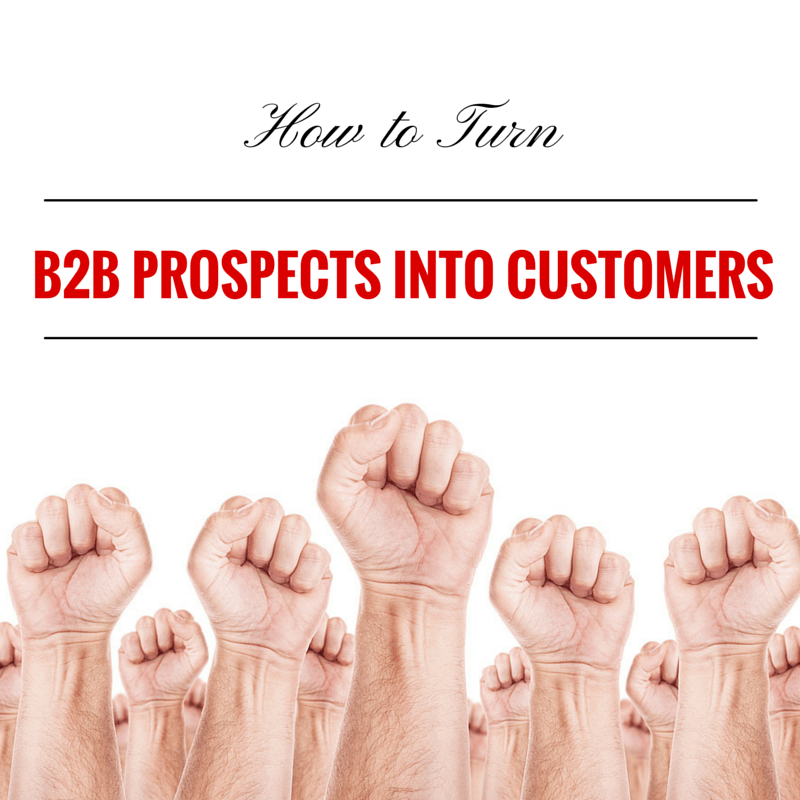 You’ve successfully converted your B2B leads into prospects. Now, you have to close the deal and ensure that they become customers. With a little push and some nurturing, you can make it happen. The following are a few strategies for getting your prospects to make the leap from potential to secured customers. A free trial run shows potential customers exactly how your product works. It can also increase their excitement about your product and services and show them how it’ll improve their lives and business practices. According to Close.io’s Steli Efti, free trials should be a maximum of 14 days long in most cases. Though he writes about software startups, his advice applies to any B2B business. A shorter free trial will create a sense of urgency for your prospects to actually use your product, and it’ll reduce customer acquisition costs because your sales cycle time will be cut down. You should only offer longer trials if your product or service is something that a customer will become dependent upon very quickly. For example, streaming music service Spotify lets customers experience their premium service free for 30 days. During this time, customers build playlists they can listen to offline, don’t hear as many commercials, and get used to skipping from song to song without a certain limit that applies to free users. After that trial, customers most likely won’t want to go back to the free version, and will pay the monthly fee to receive a better product. During your free trial run, make sure that you send customers emails asking whether or not they’re enjoying your product or service. Efti suggests messaging users and asking if they need their free trial extended. That way, it creates a dialogue between your company and your customer, and you can find out their business needs. Content works to your advantage in a number of ways. It can demonstrate your expertise in your field, establish your brand ambassadors as industry influencers, give people an insight into your product and what you do, and, ultimately, persuade prospects to into becoming customers. If potential customers were at all hesitant about your product, excellent content will show them that your company’s professionals know exactly what they’re doing. In addition, it can clear up any questions they might have about your product. Above all, it can show them how your product will save them time and money, which is what companies value the most. The content here is different than the content in the lead stage. During the prospect stage, your company must educate the prospects “with a more promotional touch than in the first stage… [and] teach them how to overcome their challenges,” writes blogger Valerie Levin of Oktopost. Levin also recommends showing prospects your eBooks, whitepapers, and case studies during this stage. To unlock this content, prospects should have to enter their email addresses. That way, they’ll receive the value from the content, and you’ll have their contact information to sell your products and services to them. It’s a win-win situation. This stage of the sales funnel is when you illustrate your superior customer service skills to your prospects. It’s crucial that during this time, you make sure that all their questions are answered, their needs are met, and they are receiving the correct information about your product or service. You can do this by having members of your sales team send follow up emails to your potential customers. They should talk to the prospect about what his or her specific business needs are, and what is holding them back from achieving any of their goals. Then, they should explain to the prospect how you can help them reach those goals and solve those problems. It’s critical that at this step, the sales and marketing teams are working together. Marketing can compile content that answers prospects’ questions and send it out, while sales team members act as the face of your company. Adding a personal touch and making the potential customer feel like you’re there for them is what will separate you from other B2B businesses. If you want customers to sign up for your product or service, you have to show them that their peers are doing the same by providing social proof. When customers are considering a product, it’s extremely useful to show them that friends and colleagues are already utilizing it. This social proof can come in the form of testimonials, endorsements, or product reviews from influencers in your field. To get the social proof, you can ask satisfied customers for testimonials or endorsements that you will display on your website, or encourage them to post about your product on their social media pages. It’s not enough for you to tell prospects that you have something great to offer; your customers have to do some of the talking as well to provide you with some credibility. Anyone can find prospects in a stack of leads – it’s those who focus on nurturing those prospects that ultimately create loyal customers and raving fans. Does your B2B business successfully convert prospects into customers? Join us and continue the conversation on our Facebook or Google+ pages.